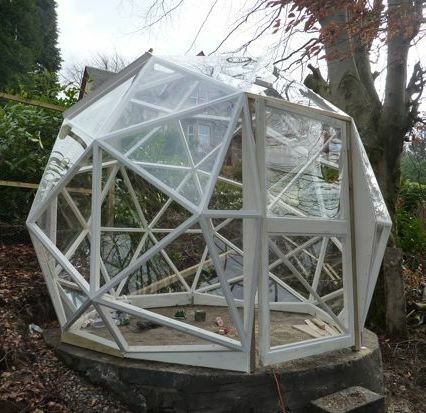 A white painted polycarbonate covered GD5 dome, supplied for a customer in Scotland. How were the edges covered/sealed? Hi Randy, I have a video tutorial showing how to cover with polycarbonate.